Have you ever wanted to own a rally car? Have you ever wanted to own a Bentley Continental GT? 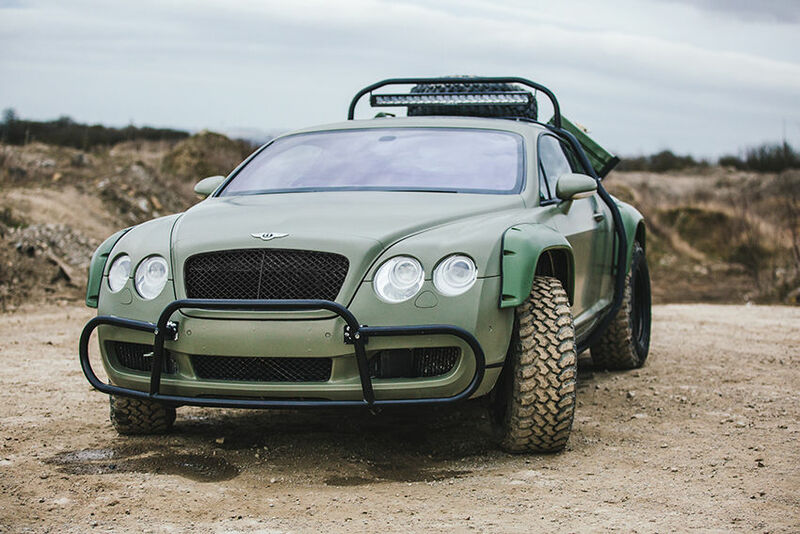 If you said yes to both of those questions, you are in luck, because right now, you can visit eBay and bid on the Bentley Continental GT Rally Edition, which was featured on the National Geographic UK television series Supercar Megabuild. The result looks like something out of the world of Mad Max. 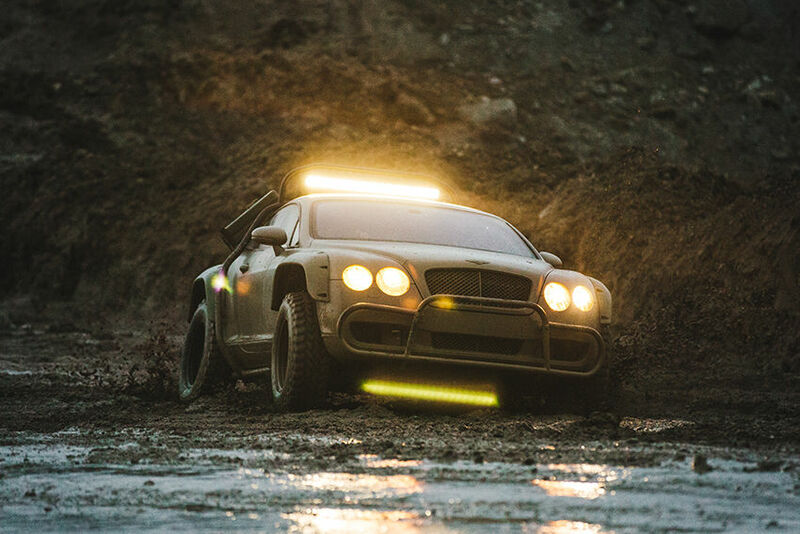 The eBay auction listing describes it as a one-off Dakar-inspired Bentley off-roader which maintains all the creature comforts and luxury options a Bentley is known for. The listing also mentions that the vehicle has had £25,000 (approximately $33,000) worth of upgrades and modifications done to it. The Bentley is fitted with a 6.0-liter W-12 engine which was last serviced at 119,000 miles. The eBay listing does not provide the VIN or current mileage, so we cannot tell how far past that that the car currently is. The car is drivable on the road in the UK; that said, it's unclear how street-legal it might be on America's side of the pond. 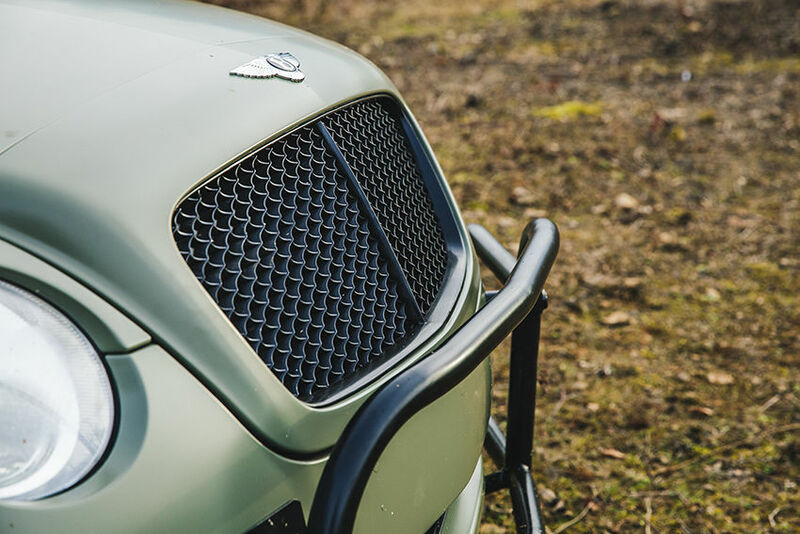 In terms of the Bentley's modifications, the car most noticeably is wrapped in a Khaki Green Avery Dennison Wrap, but underneath the original color is Silver Metallic paint. For performance, the car is equipped with eight Quantum Racing single adjustable shocks (two shocks per corner), 17-inch custom steel wheels wrapped in 265/65/17 INSA Turbo tires, an external steel roll cage which has been painted black, Lazer Lamps Triple-R24 LED Racing Light, custom lower arms, custom wife arches, Comp-Brake custom front brakes, Bash Plates under-body protection, and a spare wheel and gas cans mounted on the rear of the Bentley. This is not the first movie or TV car to be featured here on The Drive in the last few months...but it is surely one of the most capable.